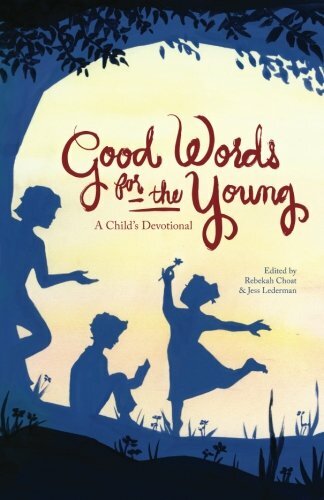 A daily devotional written by eighty authors—mothers and fathers, grandmothers and grandfathers, aunts and uncles—united by a passion for bringing the word of God to the young, and making it a tangible reality in children’s everyday lives. Many entries are inspired by, and quote from, George MacDonald. At the end of Paul’s first letter to the Thessalonians, he sounds like a parent giving instructions to his children before leaving. He tells them to obey and to be helpful and to stay out of trouble—not in those exact words, but the idea is the same! Here are some interesting facts: the Bible uses the phrase “Do not be afraid” 78 times and “Fear not” is used 170 times. Yet, the Bible also says, “fear the Lord” 205 times. Now, if we aren’t supposed to be afraid, why would we fear the Lord? All profits go to Hope Unlimited, Inc's international programs to help children in foster care.